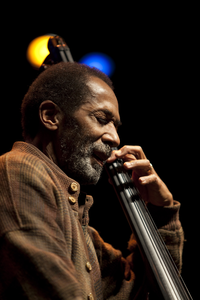 A little over a month ago, I went to check out Ron Carter's performance at Berklee. It was quite something, even though I really miss his amazing time feel when he walks. He doesn't walk anymore. 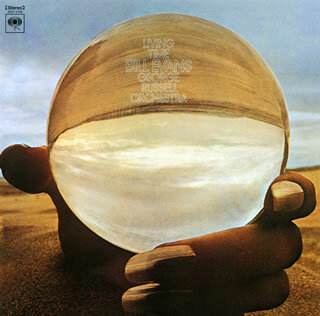 Ron Carter played for George's legendary Living Time recording along with Bill Evans, Tony Williams, Snooky Young, Joe Henderson, Sam Rivers, and many more giants in 1972. 3 years before that, he showed the world what he can do with jazz orchestra by issuing Electronic Sonata. He also showed how hard his music is for musicians even though it doesn't sound like so. Living Time got harder to play. More complicated than Electronic Sonata. George once told me: Ron Carter played his line perfectly on the first run. Mind you George writes bass part with notes, not slashes. After the first run, Ron then asked George, "George, now I played the part with no mistake, can I try playing around the line?". George said "Of course". It was an exception since George hated people messing with notes he wrote.